Florida loves pet travelers – bring your pet to the sunshine state on business or vacation. We found sensational Florida Pet Friendly hotels, motels and luxury resorts that will pamper you and your pet. “What image comes to mind when visualizing a “dream vacation?” No matter what your definition is – or if you want a bit of everything, you’ll find it in Florida – The Sunshine State. Visit our selected FL Pet Friendly Hotels below. Visit our selected FL Pet Friendly hotels and reserve the perfect lodging for you and your pet. 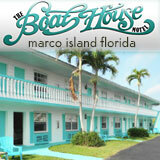 More Florida Pet Friendly Lodging information may be found in Marco Island Living. A spring break that feels like something out of a Hollywood movie? A visit to Disney World, Busch Gardens, or beautiful Marco Island? A week in a gleaming high-rise beachfront hotel, where every imaginable service, amenity and luxury is on hand? Or a relaxing retreat in a serene tropical paradise? You will find it all in sunny Florida.